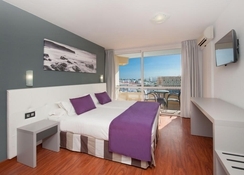 The Ole Tropical Tenerife Hotel is a four-star luxury hotel suitable for couples and families. 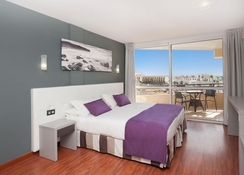 It is conveniently situated in Costa Adeje, Tenerife, which is just 850 metres away from the Troya Beach. Its all-inclusive deal will enable you to have fun in an outdoor swimming pool, sun bathing area, a snow bar, two cocktail bars, dance floor and a buffet restaurant. The little ones too can have unlimited fun with the adults in the full entertainment programme, while the mini club is also another good option for kids. The rooms at the hotel are immaculately decorated to lure all the guests and they also offer spectacular views of the pool and the lush green surrounding area. 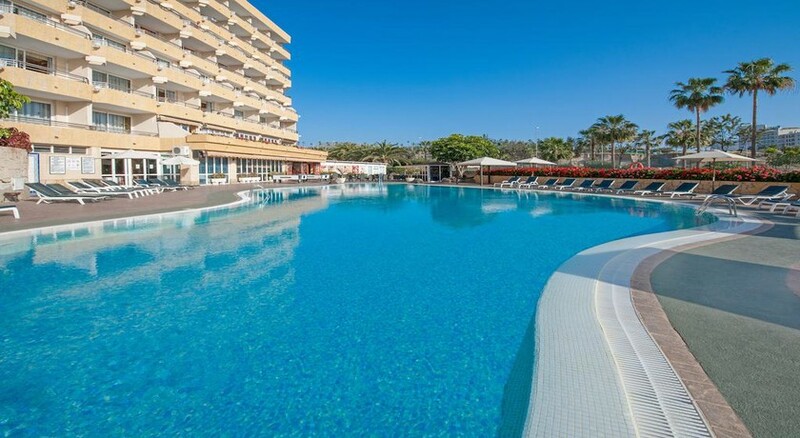 The Ole Tropical Tenerife Hotel boasts an immaculate location to discover Costa Adeje. The hotel enjoys close proximity to several places of interest, restaurants, bars and much more. Moreover, the hotel is very close to some lovely beaches, including Fanabe, and Troya. The Tenerife South Airport is 15.2km from the hotel making it convenient for the guests to board their flights on time. The rooms at the Ole Tropical Tenerife Hotel are absolutely stunning with magnificent views of the pool, trees, sun, sand and the sea. They are categorized as Basic Double Room, Double Room, Double Room with Sea View, Suite, Family Room, Double Side Sea View and Side Sea View Double Single Use. All the rooms come with a balcony, safe (subject to charge), air conditioning, complementary toiletries, fridge, hairdryer, telephone and television. The hotel houses a buffet restaurant serving a world of delicacies for breakfast, lunch and dinner. The hotel’s staff members have a professional and friendly approach and often suggest the best food and drink combinations. If you want to explore more, then step into Restaurante Tina, which is famous for grab-biting pizza’s. For drinks, you can head to the Restaurante Bar Berlin. The hotel is the best place to stay if you are looking for endless leisure. There is an outdoor swimming pool, where you can take a relaxing swim and have refreshing drinks while lying on one of the sun loungers dotted across the pool. In fact, it is the best place in the hotel to see and be seen. The spa in the hotel is a great place to unwind and get yourself pampered with a range of massages and beauty treatments. Other than this, there is a mini club, where the kids can have endless fun under the supervision of the hotel’s staff members.